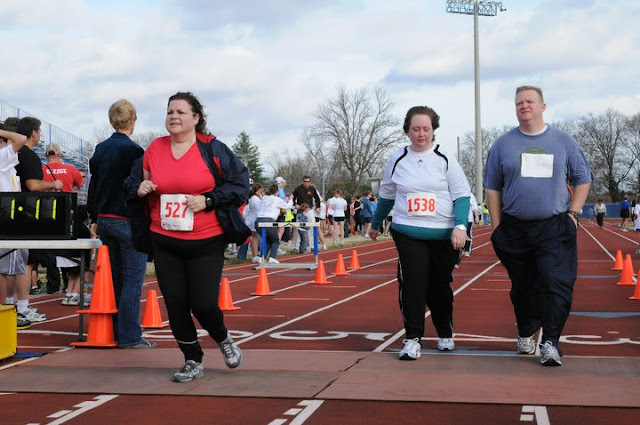 As you may know, I am participating in the Couch to 5k training plan as well as a 5k training plan on Active Trainer to prepare for a few 5k races I have signed up for in the fall. I am on week 4 of this training and am somewhat frustrated at my progress. I am able to finish the workouts but can’t help but feel awkward while running. Most of my workouts have been on the treadmill but my last workout was done on the indoor track of the MTSU Rec Center on Saturday. 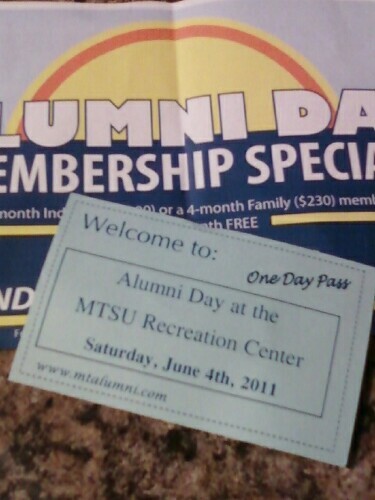 I enjoyed my free pass as an alumni to the Rec Center. 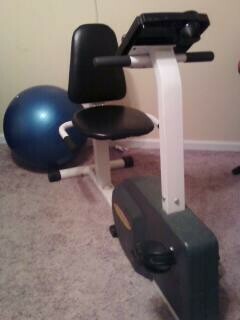 It was a change from my home workout equipment. And who can pass up a FREE deal? Not me! What do I mean by awkward? I felt like I was running in slow motion. My legs felt heavy. I’m was short of breath. Running on the track is definitely different from the treadmill. I had some other issues too. My MP3 player decided to start skipping and for some reason the power off button would not work. So most of my workout was done without any music and the gym where I worked out was holding a cheerleading camp. So you can imagine, I’m trying to workout without my music but I am surrounded by dozens of young screaming girls. I was happy to finish that workout and spend some time in the pool before having my relaxation massage at Massage Envy. ﻿﻿﻿﻿﻿ I’m wondering if there comes a time where I will feel like“Hey this is getting easier!” I long for that day to come. I watch others running and it looks so natural. I can just imagine what I look like! Another question that comes to mind is “Why am I so passionate about being a runner?” I’m hoping to find the answer to these questions soon. Today is the day for my final workout for week 4. I’m going to give it 100%. I can’t give up now!! It’s a lovely Saturday morning here in Tennessee! The sun is shining, its going to be warm today, and as far as I can tell, the end of the world did not happen as they predicted. I’m hoping to relax today since yesterday was extremely busy for me. 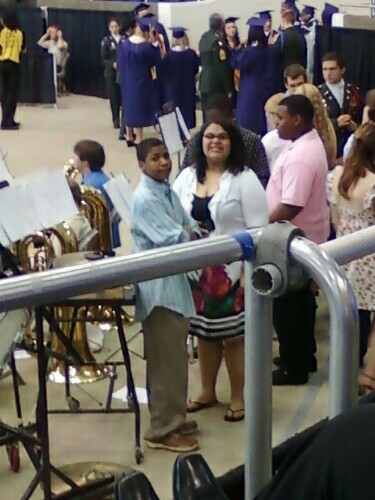 I had cleaning to do, cooking, buying a new car, and a high school graduation to attend. I’m glad I didn’t have to work on top of all the other things going on. 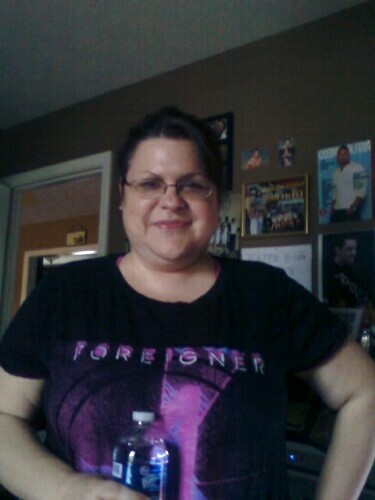 Today is a XT day for me, so I’m planning on doing a Tae Bo workout. Actually yesterday should have been my XT day, but Friday left me feeling a little frazzled. Tae Bo is a great way to include cardio, strength training and flexibility into one workout. 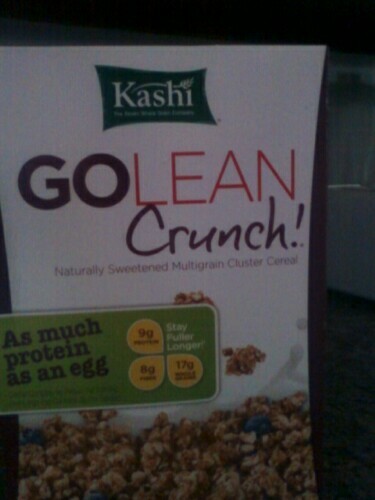 Soon as I have my coffee and a quick breakfast….I’ll be punching and kicking to the max! 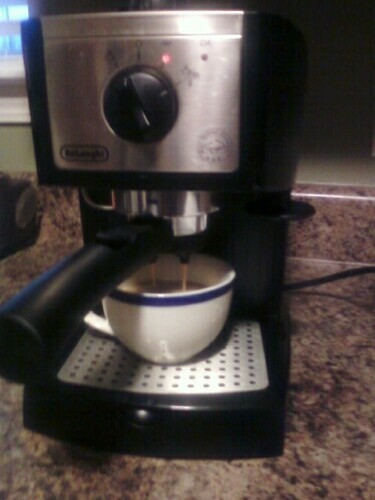 Must have coffee first thing in the a.m. 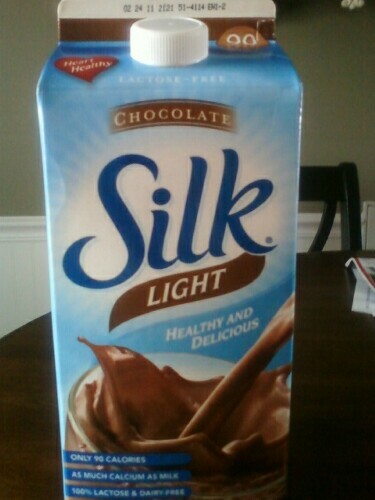 Silk Light – my favorite way to start the day! This Couch to 5k challenge has me feeling like an athlete. I never thought I would say that. I’ve gotten serious about the training to the point that I have 2 5k’s and one 4 miler on my schedule for the fall. One in September, one in October and the last one on Thanksgiving Day. I also took advantage of a free Active.com training plan after registering for the Women’s Half Marathon/ 5k a few days ago. I’m using that in addition to the c25k training. I like this plan since it includes email reminders of the daily workouts and motivational words to keep me on track. Also, when I log in my workouts, there are fields to enter vital statistics as well as b.p./ pulse readings. Its a helpful tool. I hope your weekend rocks! 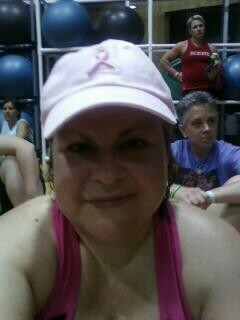 Tonight I begain week 3 on the Couch 2 5k challenge. 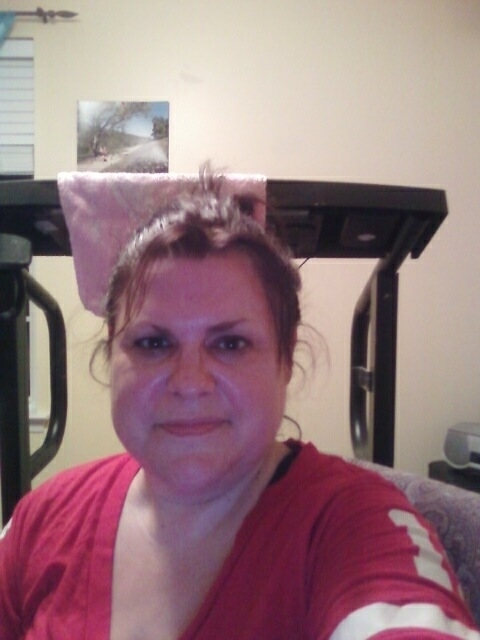 I am usually watching The Biggest Loser on Tuesday nights, but decided to do my workout while watching my favorite show. 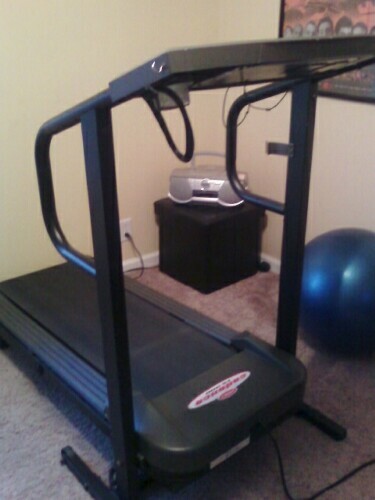 I moved my treadmill into my bedroom so I’ll be all ready to go. Another reason for moving my equipment, is because my daughter is moving back home soon and I have to empty out her bedroom. 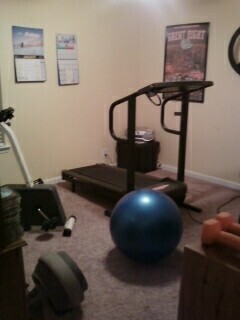 Goodbye exercise room. I was a little nervous about this week’s workout since I have to jump from running 90 second intervals to 3 minutes. At the same time, I am confident that I can do this! 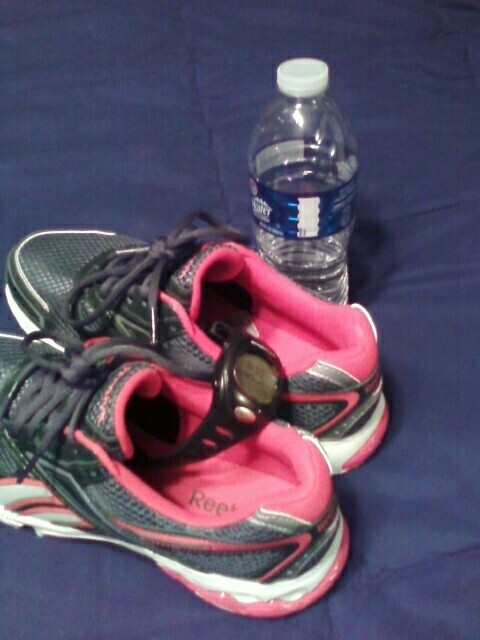 I got my shoes, my water and my pedometer ready and hit the treadmill. One thing I found out rather quickly, is that I need to bring my big fan into my bedroom when I’m working out. The ceiling fan just didn’t do the job. 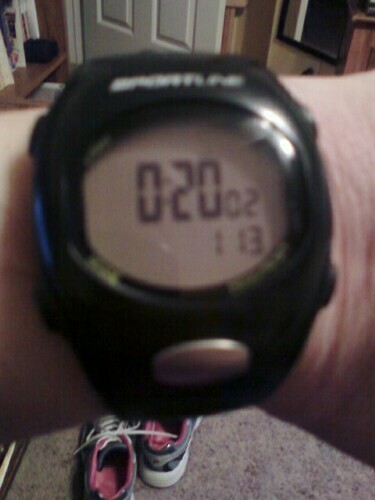 I was able to increase my speed during tonight’s workout. Except during the last 3 minute interval, I had to slow down some. I’m hoping workout 2 will be a little easier. After finishing the workout, I noticed my ankle began hurting. Since I’ve sprained this one several times, it gives me trouble occasionally. 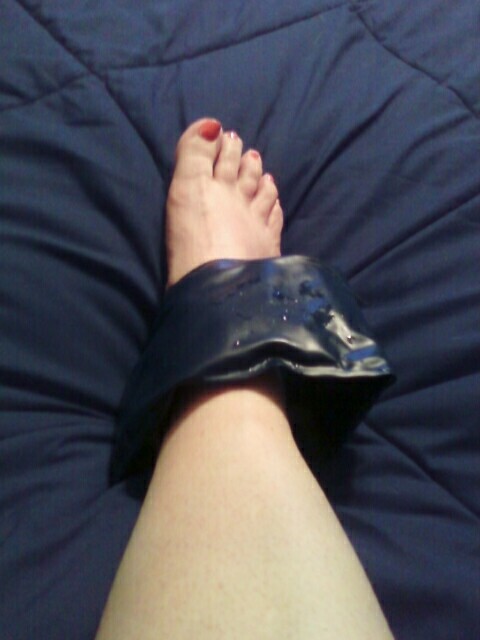 I immediately got the ice pack and elevated it. 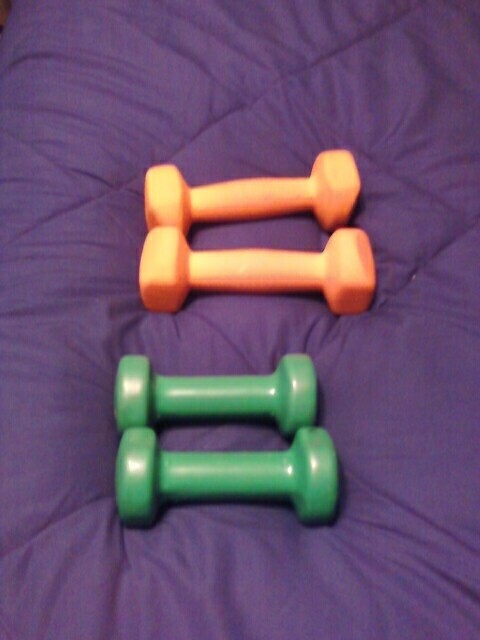 After a few minutes it felt much better, so I did some strength training with my weights. I felt optimistic about the workout tonight. It was a little harder than week 2, but I love the challenge! I guess I have to get used to using ice packs and muscle cream after running workouts. I really want to move my running outside and get off the treadmill. Mental note: find a running trail to use this week. It’s been a wonderful Wednesday! 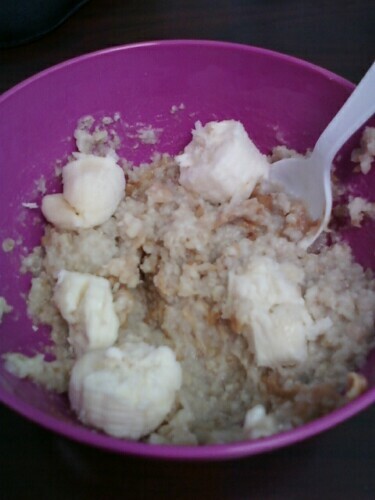 I found a way to enjoy my morning oatmeal even more…I added a banana and some organic peanut butter. It was very tasty! What are your favorite healthy breakfast foods? I feel like I’m eating the same things over and over. I need a change! I completed Week 2 Workout 2 on the Couch to 5k training plan. I’m glad I was able to finish it. It seems harder this week to me. I’m not sure what my problem is. I know living in the south makes it hard to do outdoor runs, especially when the humidity starts. It’s 80 but feels like 95 degrees. Even in my exercise room with fans and the a/c, I can’t seem to get comfortable. Hmmm…hot flashes? I am glad that I have been able to do these workouts during the work week after a long day of number crunching. A few weeks ago I was struggling to find time to workout and now I’m actually doing it. That feels great! 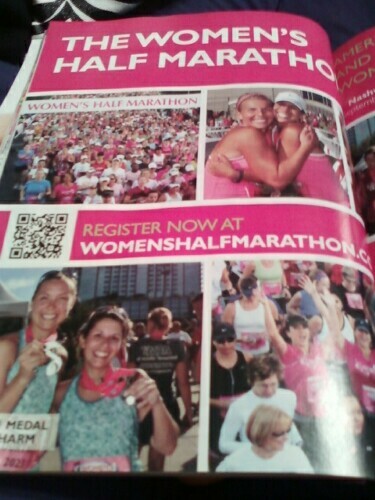 And I have a 5k I’m participating in this weekend. I will try to run as much as I can and hopefully increase my pace. How do you deal with the heat if you are a runner? It’s Monday and you know what that means….Its time to begin week 2 of the couch to 5k training! I was ready to workout after I got home from work. I got some new running shoes for Mother’s Day from my husband and kids. They know what’s important to me… 🙂 I was anxious to try them out. I used them yesterday while doing a Taebo workout, but that’s not the same as running. 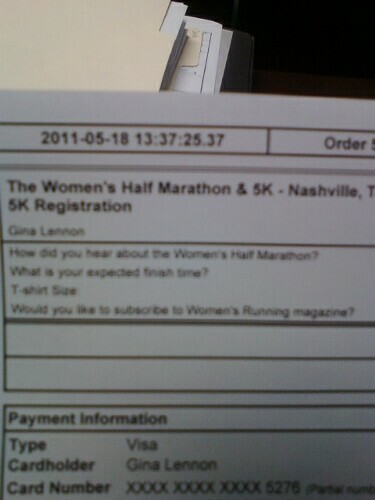 I posted this picture on Facebook, only to get lots of comments about when I’m going to run a half marathon. I love the idea of that, but I need more courage and confidence before I can get serious about it. I need to RUN some 5k’s first, then maybe a 10k, and work up to a half. That’s the plan. 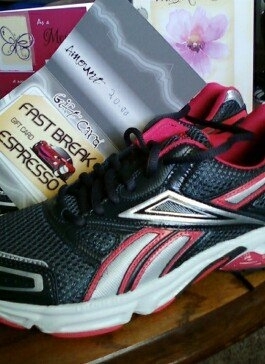 Mother’s Day gifts – running shoes & coffee shop gift card! 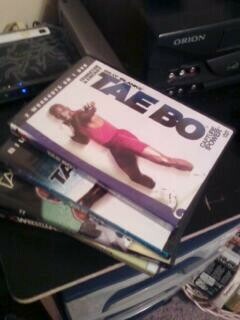 I have done Taebo for many years. It is one of the most powerful and inspiring workouts I know. I was very thrilled last week when Billy Blanks daughter tagged me in a Twitter post. She actually lives in a town near me and I had the honor of meeting her and Billy last year in a benefit to raise money for flood victims in Nashville. 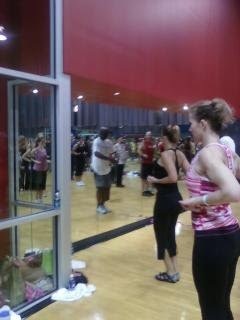 I participated in a portion of a 2 hour Taebo workout with Billy in person. That was thrilling! Here’s a few pictures I took at the event. 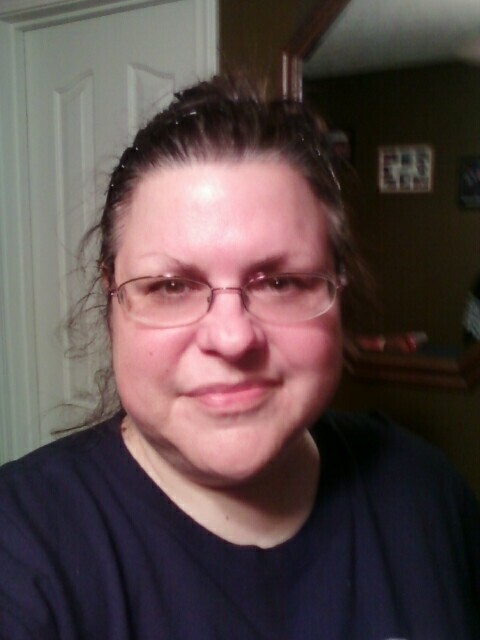 I made it through workout 1 of week 2. It was a little hard for me today. It could be that I was wearing new shoes that I’m not used to yet, or that it was so hot in my exercise room! At least I wasn’t running outside in the 90 degree weather. I tried to increase my speed some in the beginning, but ended up slowing down after a few intervals. It’s going to take some time for me to get comfortable with this. 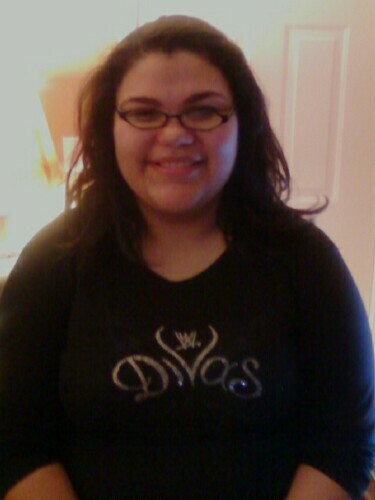 Here’s a picture of me after the workout. I suppose I’ll sleep good tonight! For all of those awesome people doing the #emwc25k challenge, Keep up the good work! I never thought I would be EXCITED about working out. But today, I was actually looking forward to getting on the treadmill. For months, I have complained about working out and have used every excuse I could come up with. What’s different this time? First of all, the challenge I accepted with other twitter friends makes me feel accountable. That motivates me! I’m so glad I accepted the challenge! Workout 2 is in the books! I felt better after this second workout because I tried to increase the speed a little when running. After the first workout, I felt like I was going too slow. I know now is not the time to be competing with my time and trying to make personal records, but it’s hard not to compare each run to the last one. 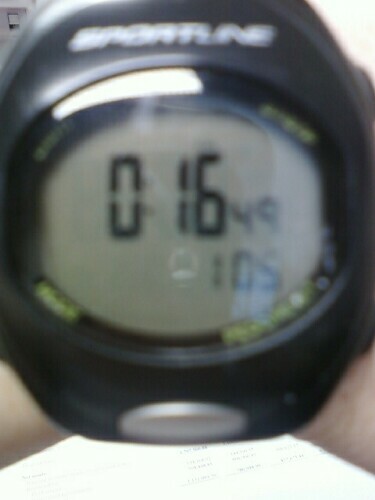 I think at this point, its better to COMPLETE the workout, not COMPETE with my speed and distance. I feel so powerful after completing these workouts! 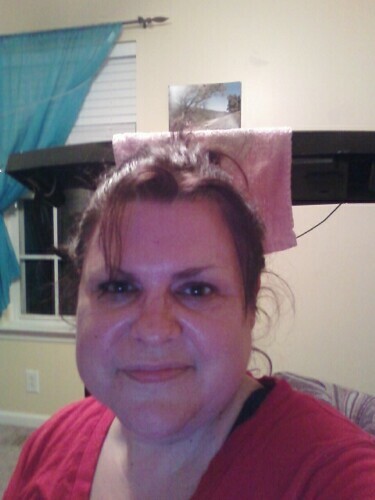 My treadmill – my new bff! I feel like eating healthy is an important part in training, so I tried my best to stay on track with unprocessed, fresh, real food today. I began the day with some oatmeal with blueberries and java. 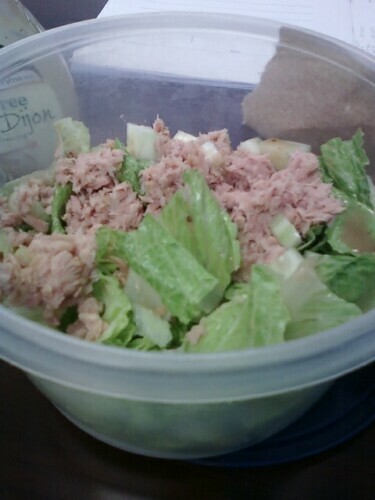 For lunch I had a salad made with organic romaine lettuce, cucumbers and tuna. 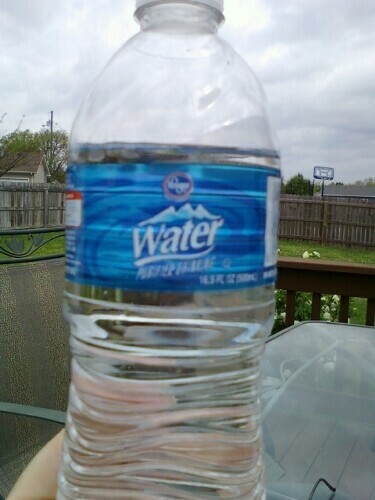 Of course, I stayed hydrated while drinking several bottles of water throughout the day. I feel good about my progress so far in this challenge! I’m starting to believe I CAN DO IT! 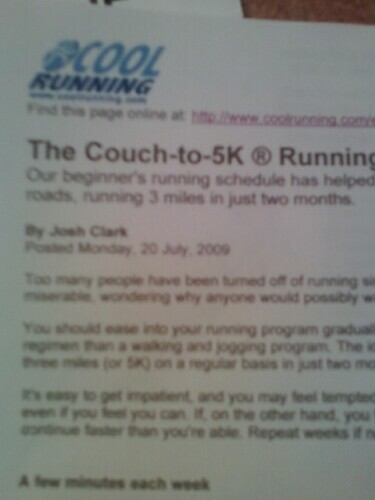 I began the Couch 2 5k training today. I feel exhilarated! I am so glad I didn’t use one of my usual excuses to not begin the challenge today. I’ve started this plan before but never got past week 5, so I decided to start at week 1 again. This time I am going to stick to the plan. 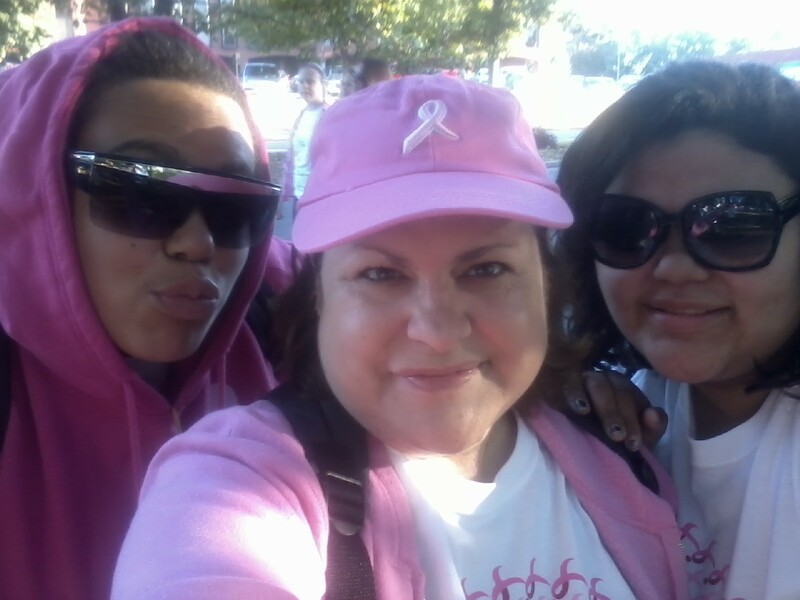 Goal: I want to run the Susan G. Komen for the Cure 5k in October. I have walked this 5k for two years in a row and want to step it up a notch! I am very happy that I was able to get the workout in on a work day. I didn’t let that little voice in my head take over and coax me to sit on the couch and watch t.v. instead. Couch to 5k running plan – posted on my wall in my exercise room. 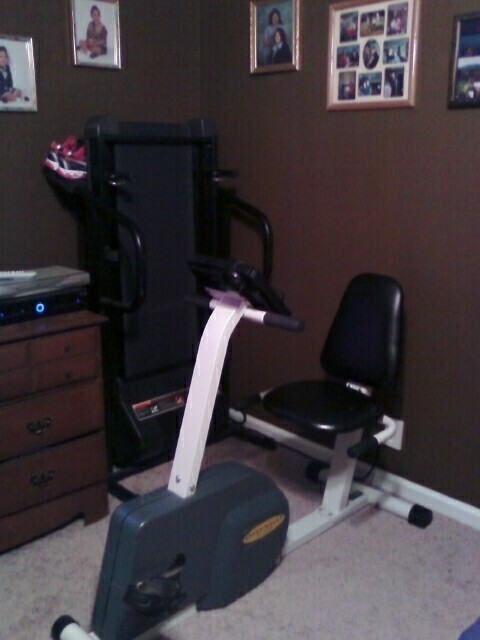 my exercise room. it’s getting smaller with all the equipment. I found some good runner tips in Runner’s World. I’ll be sharing these over the next few weeks in order to stay motivated for the challenge. “The biggest mistake that new runners make is that they tend to think in mile increments. Beginning runners need to think in minutes not miles. “ – Bud Coates, U.S. Olympic marathon trials qualifier/coach. I just finished working out. I’m glad I did. Starting the week off right. I started off with a workout on my stationary bike for 30 minutes. Then I proceeded with a treadmill workout for 20 minutes. I’m on week 4 of the couch to 5k training and it seems to be getting easier. I would be further along on the training, but I have been a slacker. Some weeks instead of running, I have chosen other workouts to do. And I ended up skipping to week 5, only to revert back to week 4 after deciding it was too much for me. I still believe there is hope for me. I’m not going to quit. I have 2 events scheduled for May. I’m going to set some personal goals for those. 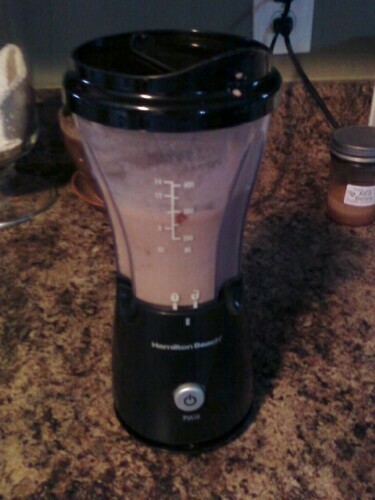 Now its time for a protein shake (i love my new mini blender) and to enjoy the rest of the day with my family. I decided to run outside today since the weather has been so nice this weekend! It was great. 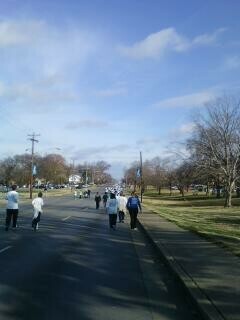 I’m still alternating running/walking. It sure is taking me a long time to improve my pace. I found that I enjoy running outside much more than the boring treadmill. I jogged around a favorite spot of mine that has a trail around a pond usually filled with ducks. However, today I noticed that half of the pond was very unattractive due to construction in the area. After I reached the loop around the pond, I found the other end looked much better. I felt sorry for the poor ducks. It used to be such a lovely area with a fountain to enjoy the scenery. This is what Gateway Island used to look like. Its been a busy weekend since I have been trying to catch up on work due to my being sick last week. I have worked a few hours here and a few hours there and feel much better about my workload. I also found the time to spend with my youngest daughter yesterday for a short shopping trip and attending a church service. It was a fun mommy/daughter afternoon! 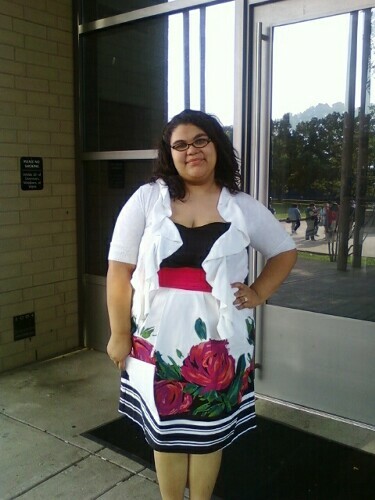 I began attending church again, especially since it was one of my goals for the New Year. I’m glad that I made this decision. 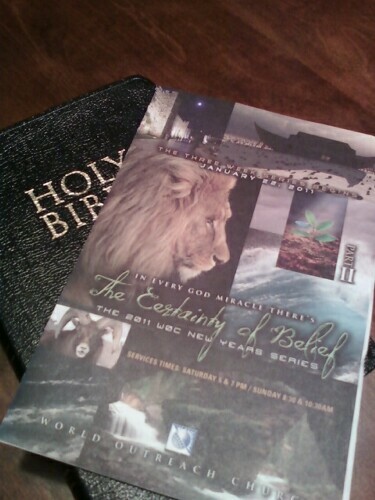 It’s amazing how being involved in a church can inspire me. Look at the video below from the praise team at my church, WOC. 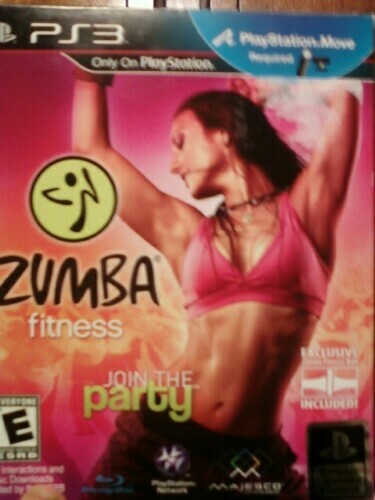 I’m very pleased that I found Zumba fitness for PS3 on our shopping trip. Can’t wait to try it! 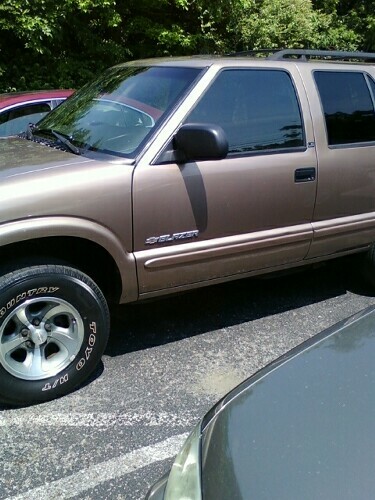 I also got it at a discounted price. Love that! Now, that it’s almost the end of January, are you sticking to your resolutions?